If you break your spectacles, don’t despair. Are they designer frames? Vintage frames? With expensive lenses? Was it a gift? Do they have sentimental value to you? 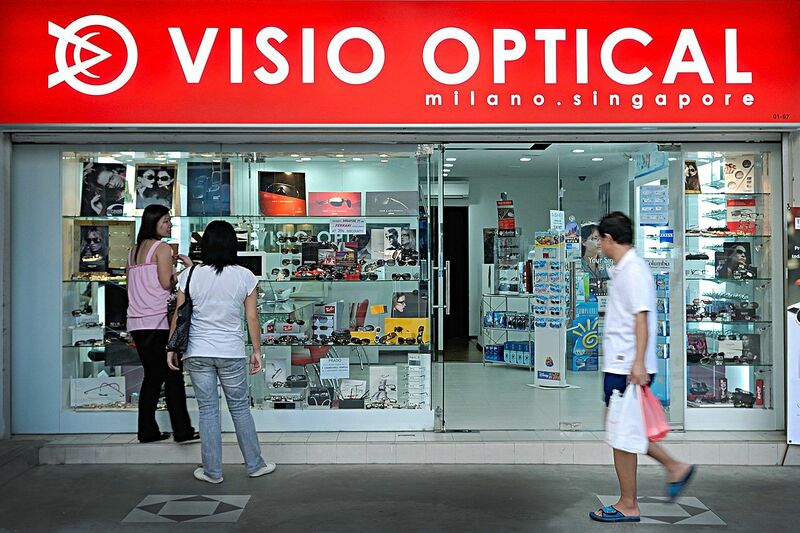 Visio Optical is the only spectacles shop in Singapore and South East Asia that specializes in spectacles repair. When any other optical shop tells you that repair is not possible, try at Visio Optical. We repair spectacles and sunglasses, new and old, of any brand. 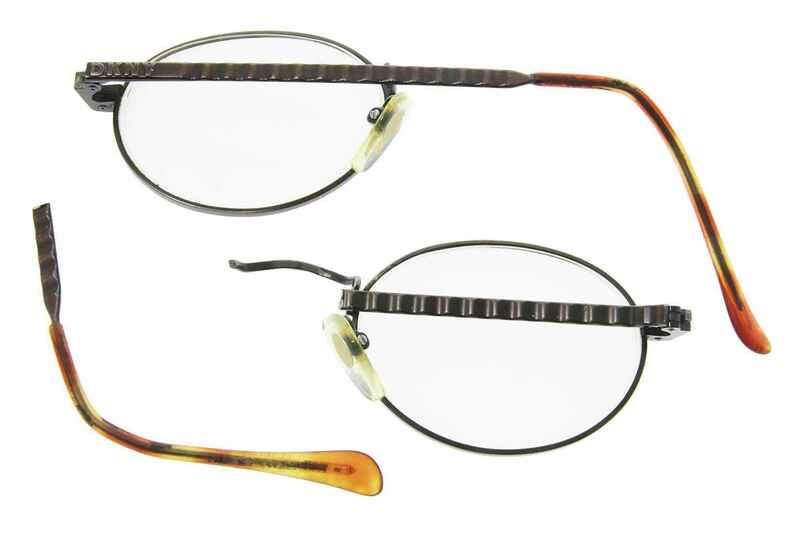 Both metal and plastic materials can be fixed, in full frame, rimlon, and rimless shapes. Which parts can be fixed? 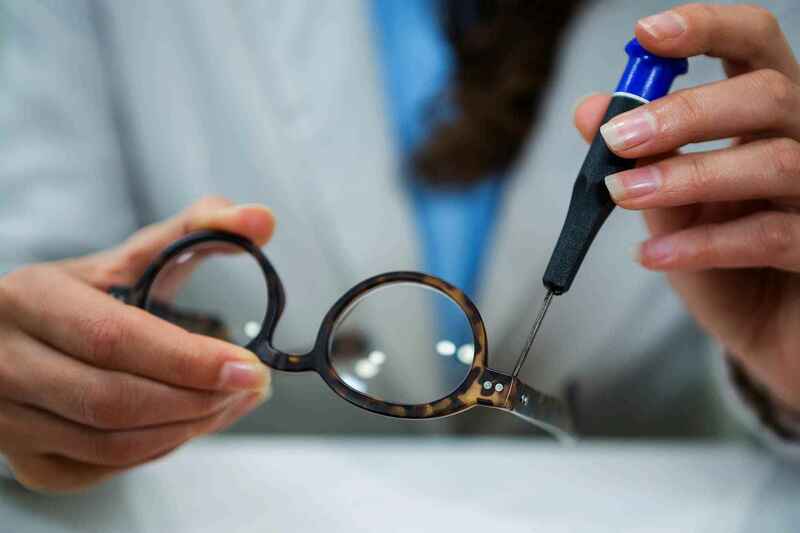 We repair any part of your spectacles such as: fronts, bridges, pads and arms, sides and temples, joints, hinges, spring hinges, hoods, rims, barrels, etc..
Can you fix metal frames? Do you fix plastic frames? We can fix some plastic parts, depending on the type of plastic material. Acetate plastic can be fixed. However, we need to assess the frame for a proper quotation. Can the lenses be fixed? Even if lenses cannot be repaired, we can replace them for both spectacles and sunglasses. For sunglasses, we can replace both non-prescription and prescription lenses (PLEASE CHECK HERE). We have specialized equipment, and we have thousands of generic spare parts, both common and unique. Everything is done in-house. Is the repair work reliable? After years of repairs, and thousands of frames that we have fixed, we have accumulated the experience and knowledge to perform most repairs. We also offer a limited warranty on the repair work. Save your money and your glasses, your dollars are important! Keep the spectacles that are precious to you! Please bring your broken frames for a free assessment. Our specialists will assist you with the repairs.